How much is Steffi Graf Worth? 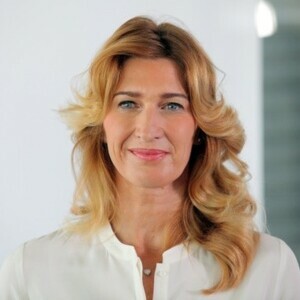 Steffi Graf Net Worth: Steffi Graf is a German former World No. 1 tennis player who has a net worth of $30 million. Steffi Graf was born June 14, 1969 in Mannheim, Germany. She is notable for her versatility across all playing surfaces, having won each of the four Majors at least four times, the only player to do so, and is best known for her great footwork and for her powerful forehand drive. Graf won six French Open singles titles (second only to Chris Evert) and seven Wimbledon singles titles (third behind Navratilova and Helen Wills Moody). She is the only singles player (male OR female) to have achieved a Calendar Year Grand Slam while playing on four different types of tennis courts (Rebound Ace, grass, clay and DecoTurf). Graf reached thirteen consecutive Grand Slam singles finals, from the 1987 French Open through the 1990 French Open, winning nine of them. She won 5 consecutive Majors (1988 Australian Open to 1989 Australian Open), and 7 Majors out of 8 in 2 calendar years (1988 Australian Open to 1989 US Open, with the exception of the 1989 French Open). She reached a total of 31 Grand Slam singles finals, third overall behind Evert (34 finals) and Navratilova (32 finals). Graf is regarded by many to be the greatest female tennis player of all time and ranked World No. 1 by the Women's Tennis Association (WTA) for a record 377 total weeks—the longest period for which any player (male OR female) has held the number one ranking since the WTA and the Association of Tennis Professionals began issuing rankings. She won 107 singles titles, which ranks her third on the WTA's all-time list after Martina Navratilova (167 titles) and Chris Evert (157 titles). Graf is currently married to former men's professional player Andre Agassi.